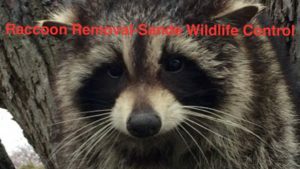 Raccoon removal Toronto services are in demand for all regions around Toronto. Raccoons can melt the hearts of some people, but let’s be honest, Raccoons are a huge problem once living on your property. 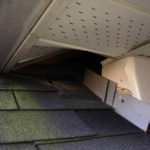 Raccoons are smart to find secret passages into the roof of your house. A Raccoon will seek shelter in your home for shelter for itself or to raise its young. Every Spring, pregnant Raccoons seek shelter to raise their Cubs. And every Fall, Raccoons seek warmth from the cold. These two seasons are prime time to have Raccoons inside your roof. During the warm months of Summer, Raccoons will shelter themselves usually underneath decks. A Raccoon will always come back to the same shelter every year until secured. Closure of all shelters are the best way to control Raccoon intrusion. Loud sounds in your attic at night are definitely a sign of Raccoon invasion. One might think of taking dire steps in frustration, but don’t go harsh on those poor souls as Raccoons are protected by Wildlife control acts of Ontario. There are humane ways to purge your house from these unwelcome fellows. Luckily there’s many Raccoon removal services in Toronto due to so many Raccoons. 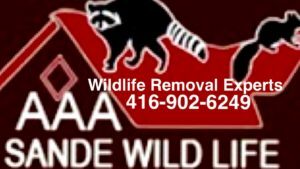 Almost every Wildlife removal service works in strict compliance with the Wildlife acts in Toronto, so you can call one without feeling guilty about those nuisance Raccoons. 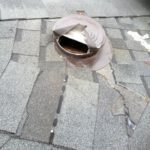 Before you hire any Raccoon removal Toronto service, be sure to check out the company on a Google search. Type the name of the company in a Google search so you can see all the reviews the company has received on the internet. Many websites provide company reviews like Google Maps, Yelp, HomeStars, Facebook and many other websites; but do not be fooled by most reviews posted on the internet as not all can be trusted. It appears Google Maps, HomeStars and Yelp have the most honest reviews posted. 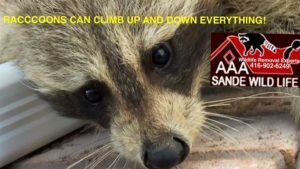 AAA Sande Wildlife Control will offer valuable advice and effective Raccoon removal. 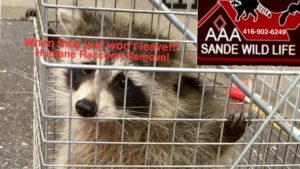 We will lay out a Raccoon removal plan that’s best suited for each scenario. After removal of the Raccoon/Raccoons from their den, we seal off all the entrances made by the critters. 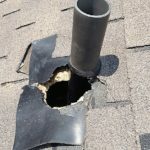 Furthermore, we repair all the damage done by these Raccoons either to the roof, roof vents, plumber mats, soffit, or shingles. Additionally, we will inform you which way serves best to have the Raccoon not return. Handling this problem on your own can be frustrating and annoying at the same time. It’s better to just place a call to Sande Wildlife Control and let us deal with those pesky Raccoons. 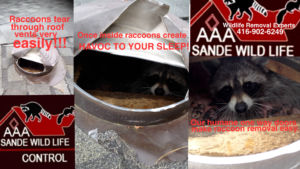 We know how to remove and secure your home from Raccoons. 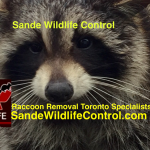 Sande Wildlife Control can handle most of the Wildlife in Toronto, however. 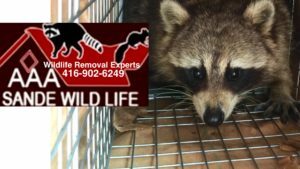 our Raccoon removal Toronto services far exceed most other similar services in Toronto. Therefore, hire the Wildlife Eviction Specialists known to get the job done every time.